Welcome to Virtupets® Orbital Space Station #4. 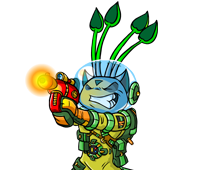 The Space Station, as you know, was used in Dr. Sloth's plan back in Y2 to turn every Neopet on the whole of Neopia into a mutant. However, things did not work out as Sloth had hoped.